The iLESSYS® method uses the endoscopic interlaminar access for the removal of herniated disc material or the treatment of spinal stenosis. This method is less traumatic than the conventional microsurgical technique. The small diameter of the joimax® endoscopes and working tubes preserves the tissues. Due to the extraordinary optics a brilliant view on all structures is provided. 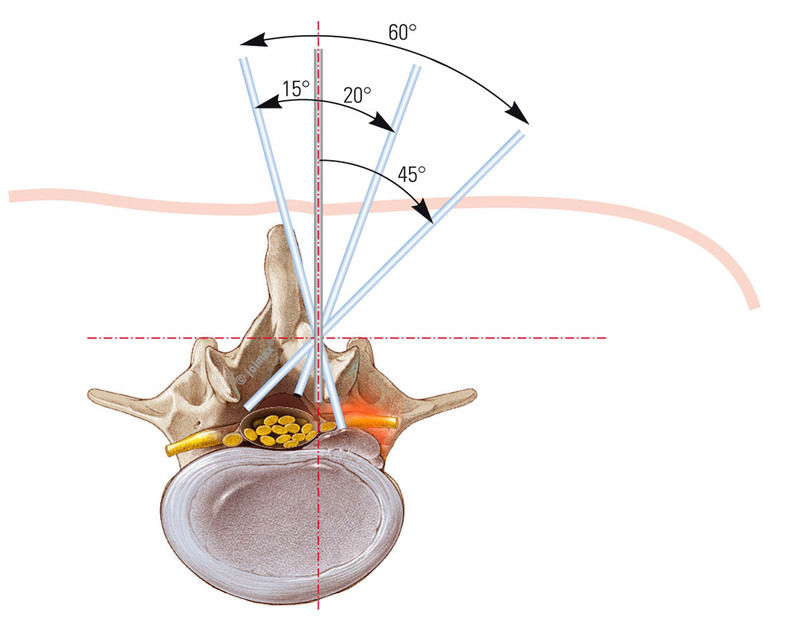 The iLESSYS® method is a real minimally invasive operation technique for pathologies in the dorsal area of the spinal canal. The surgery can be done using either general anesthesia or MAC. If MAC is used the patient remains responsive during the surgery, thus you can react directly in the case of contact with the nerves. Furthermore, the risks and side effects of general anesthesia are avoided. 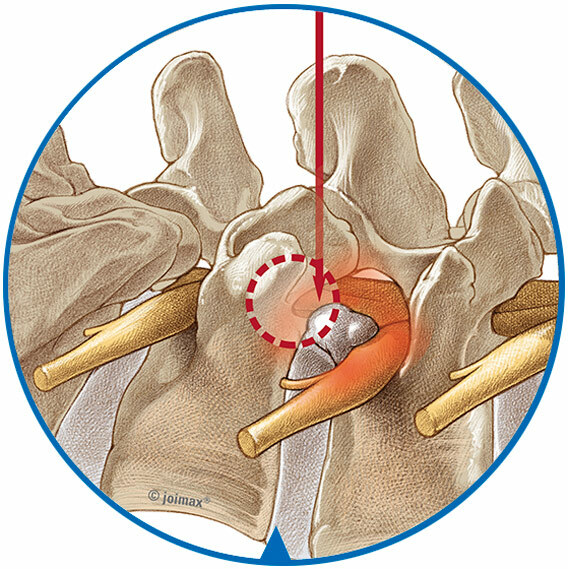 A careful planning of the main point of access to the herniated disc is crucial for positive surgical results. Magnetic Resonance Imaging (MRI) and/or computer tomography (CT), as well as multiple conventional x-ray images have to support the iLESSYS® surgery. In general, the patient is positioned in prone position. Like with the transforaminal system TESSYS® also the interlaminar access is reached by tissue sparing graduated dilatation and subsequent placement of the working tube. Under endoscopic view the ligamentum flavum will be opened to enter the spinal canal. Depending on the indication no or just a little of bony material will be removed. 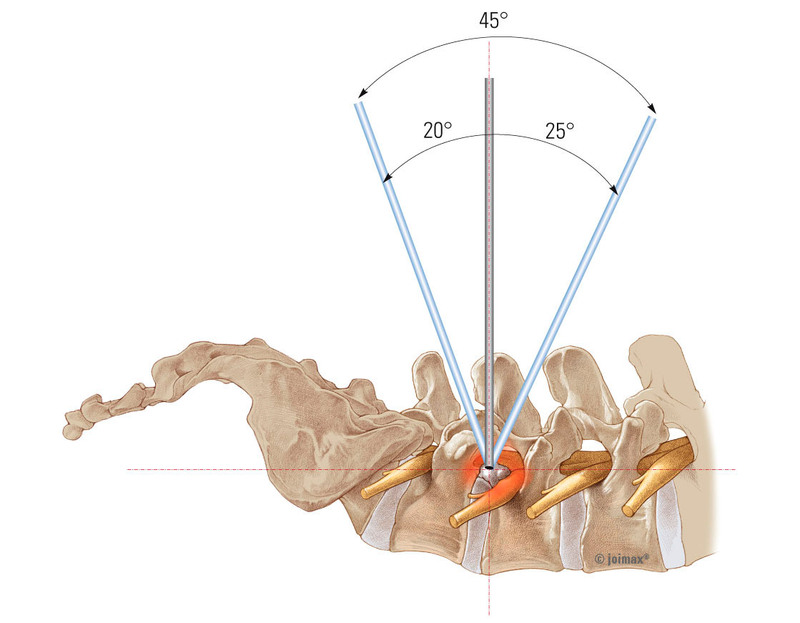 Under endoscopic image control herniated disc material can be removed with forceps directly via the laminoscope. Post-operative pain is generally minimal. joimax® provides the CME Education Program to learn how to operate your patients using the ILESSYS® instrument set. For more details, you can also contact us.